Kelvin Yau is currently a Professor in the Department of Management Sciences. He obtained his BSc (Hons) degree from the Chinese University of Hong Kong, MStats degree from the University of New South Wales and PhD degree from the Australian National University. He is a Chartered Statistician (CStat), an Accredited Statistician (AStat), a Chartered Scientist (CSci) and an Accredited Professional Statistician™ (PStat®) as approved respectively by the Royal Statistical Society (UK), the Statistical Society of Australia, the Science Council (UK) and the American Statistical Association. He is also an elected member of the International Statistical Institute. As an applied statistician, he has been involving in various interdisciplinary research projects. 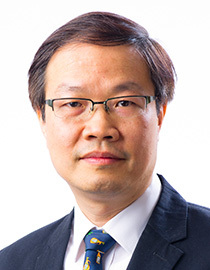 Prof. Yau has over 100 SCI/SSCI-listed journal publications in statistics, medical and health science journals on topics such as mixed effects models, survival analysis and statistical modelling in general.